It all began with a simple seaside vacation, a brother and sister recapturing their childhood. Antoine thought he had the perfect surprise for his sister Melanie's birthday: a weekend by the sea at Noirmoutier Island, where the pair spent many happy childhood summers playing on the beach. But the island's haunting beauty triggers more than happy memories; it reminds Melanie of something unexpected and deeply disturbing about their last island summer. When, on the drive home to Paris, she finally summons the courage to reveal what she knows to Antoine, her emotions overcome her and she loses control of the car. Alone, waiting for news of Melanie, Antoine reflects on his life: his wife has left him, his teenage children are strangers to him, his job bores him, and his father is an ageing tyrant who still poisons every aspect of his life. How did he end up here? And, more importantly, what was the secret that his sister wanted to tell him? 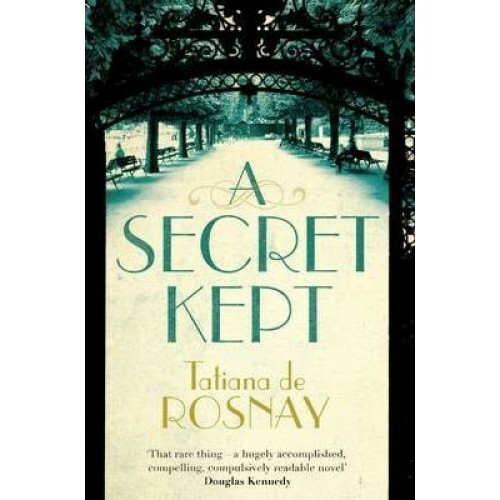 A Secret Kept plumbs the depths of complex family relationships and the power of a past secret to change everything in the present.